Canada's budget watchdog is renewing his fight for detailed information about the government's planned cuts, sending a letter to the country's top bureaucrat laying out a legal opinion about his powers. Canada's budget watchdog is renewing his fight for detailed information about the government's planned cuts. 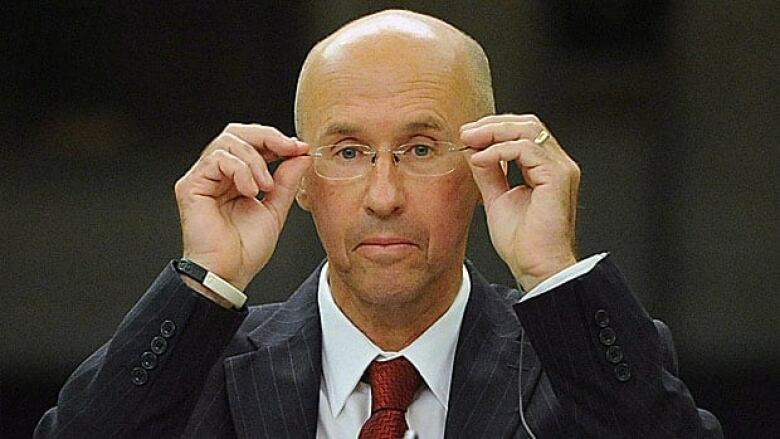 Parliamentary Budget Officer Kevin Page has sent a legal opinion to the clerk of the Privy Council, the country's top bureaucrat, explaining why he has the right to demand "information pertaining to the savings measures" planned in each department. Most departments — 64 out of 84 — refused to provide the information. In a letter dated June 18, Page lays out again why the information he requested in April falls within his authority. "The information is financial or economic data, in the possession of department heads, necessary for discharging the PBO's mandate, and not subject to any of the statutory exemptions listed," Page writes in the cover letter to Privy Council Clerk Wayne Wouters. "Both your department and the other departments that have not complied are in violation of their legal obligations under the [Parliament of Canada Act]." The legal opinion was prepared by Joseph Magnet, a lawyer and professor at the University of Ottawa, and Tolga Yalkin, senior financial adviser to Page and also a professor at the U of O. Magnet and Yalkin write that since the information Page requested falls within his mandate and isn't subject to exemptions for personal information or cabinet confidence, the deputy heads of the departments "are required to comply with the PBO's request." The opinion notes reductions in direct program spending are a "key contributor" to the government's plan to cut the deficit but about 70 per cent of those cuts are "unspecified 'efficiencies.'" "Given the uneven track record of public sector jurisdictions, including the federal government, in achieving sustainable operating efficiencies without material service impacts or necessary fiscal adjustments, the PBO requested details regarding the implementation plans of federal organizations to achieve the fiscal 'savings,'" Magnet and Yalkin wrote. Interim Liberal Leader Bob Rae says the opinion shows the government under Prime Minister Stephen Harper "is quite simply breaking the law of Canada with respect to the need to provide essential financial and economic data to the parliamentary budget officer when it’s available." "When the Reform party was in opposition, they were a party that very much stood for the accountability of the executive to Parliament," he said. Harper was a Reform party MP from 1993 to 1997. Liberal MP Scott Brison says the government has a legal responsibility to provide Parliament with information. "Canadians are starting to understand exactly how dangerous a government out of control, with no respect for taxpayers, no respect for citizens, no respect for Parliament, and how dangerous and how bad for democracy that really is in Canada," Brison said. Foreign Affairs Minister John Baird, taking questions in the House while Harper is away meeting G20 leaders in Mexico, denied the government isn't providing information. "We will continue to report to Parliament whether it's through the esitmates, the supplementary estmates, the quarterly reports, the public accounts, and be fully accountable to this House," Baird said in question period. The 2012-13 estimates, however, don't include the cuts announced in the federal budget, making the detailed information provided in the documents out of date.